Located in Rockville Centre New York, Silva Dance, our complete Performing Arts package offers a dance program including Ballroom Dance Lessons in Long Island along with Ballet, Tap, Jazz, Hip Hop, Pointe, Variation Classes as well as Latin dances and Ballroom Socials. It's all here for you in Rockville Centre Long Island. Our motto is "Ballet to Ballroom". Whether you are coming to Silva Dance to Learn Ballet /Tap etc. 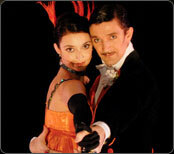 or Ballroom dancing and Latin Dancing our expert teachers produce only the highest quality of Dancers. Silva's Long Island Dance Studio is centrally located and near New York City and all of Long Island. Silva brings you Concert Performances, including full Ballets and Broadway Shows, or if you Ballroom Dance, Ballroom Showcases and Competitions in Ballroom & Latin are always available to you on Long Island and through the Tri State Area. Silva Dance , the only Performing Arts and Ballroom Dance facility serving Long Island for 48 years. Come and Experience the Experience! We know that no matter the particular shape or kind of dance, dancing alone must not just end up being about steps to music -- it needs to be interesting, thrilling, vibrant, satisfying and most of all uncomplicated to learn. My partner and I will ensure that our business can assist you appreciate the finer particulars which will make all the difference with your advancement of any of the Performing Arts including the popular Latin Ballroom Dancing. Silva’s Performing Arts side has opened the doors to Ballet, Tap, Jazz, Hip Hop, Pointe to all. Silva brings these dance forms to you in the form of weekly classes and Theatre stage performances throughout the year! Please check our Performing Arts Schedule for any new classes. We keep our classes just large enough but small enough to ensure that you will not just be a number, as all our students receive individual attention thus keeping their learning Right on Track! If you are coming to Silva Dance for our popular Latin Ballroom Dancing, you will also never have to concern yourself with bringing a dance companion with you. We will cycle dancers within the dance classes, therefore you will generally be able to dance with someone new to try out your newly learned steps. Silva Dance will break down the steps, and the rhythms of the songs making it effortless for everyone to enjoy Latin Ballroom Dancing! This popular ballroom dance facility really encourages you, and also works with an individual in their advancement, so you will be self-confident the very next time you get on to the actual dance floor and then be capable to dance with any person, wherever, at any time! WE MAKE BALLROOM DANCING IN LONG ISLAND ATTAINABLE FOR EVERYONE!